The wooden box with a slot in the top is no longer going to be the single source of truth for companies. Companies have always had some type of customer suggestion box at their place of business. Nowadays, with the rise of social media, these little boxes almost seem silly: does anyone fill these out anymore? 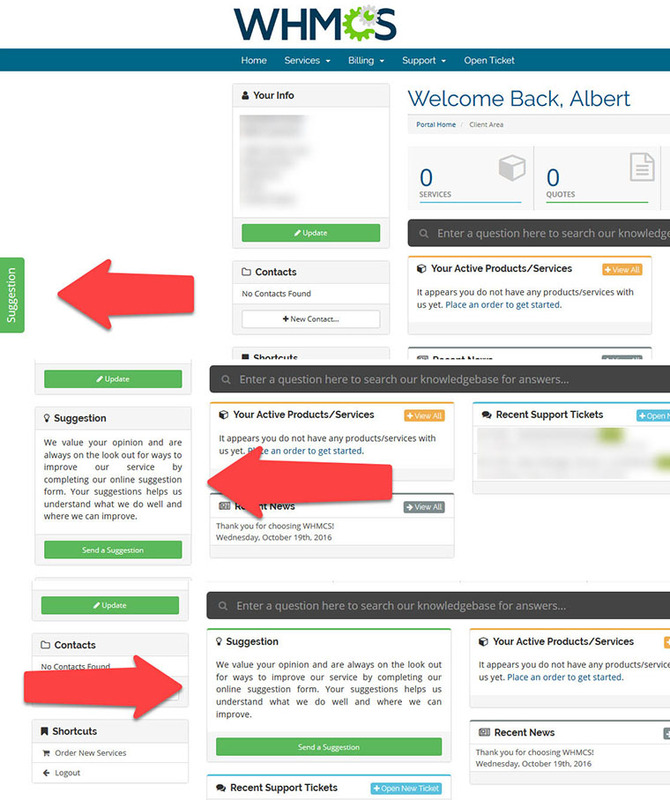 With customer suggestion module for WHMCS, you can implement a customer suggestion box within minutes and start collecting suggestions from your customers in an instant. These suggestions can also be solicited from customers and be used to improve and optimize a business for success. Source Code Note: we will send the project to the PayPal payment email manually and this will take 24 hours to be done.